The human body has an amazing ability to heal, thanks in large part to tiny little cells in our blood called platelets. Platelets play a key role in the natural cell regeneration process, rushing to the rescue when tissue gets damaged and releasing a flood of growth factors that trigger tissue repair, cell renewal, and collagen production. As a leader in anti-aging skincare, board certified plastic surgeon Dr. Gregory Buford has built his practice around innovative treatments that help patients achieve long-lasting results for healthy, radiant skin. 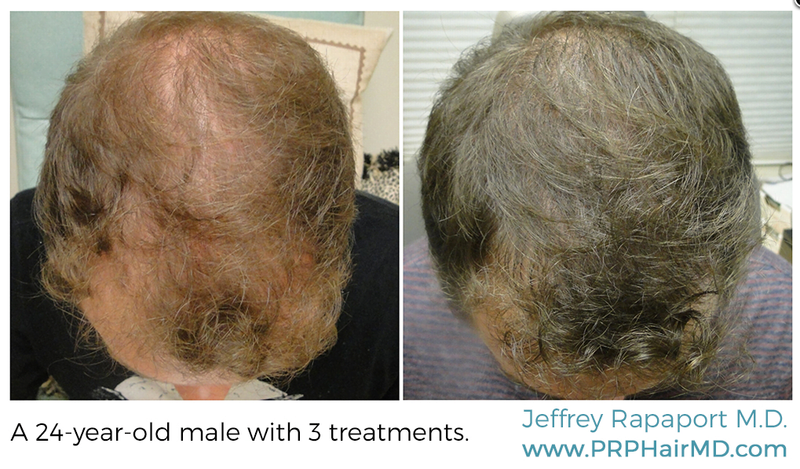 One such treatment is PRP, or platelet rich plasma therapy, a cutting-edge technology that can significantly enhance results of other skin care treatments as well as help stimulate hair follicle activity to treat hair loss. Platelet Rich Plasma therapy, or PRP, is a highly advanced treatment that infuses the skin with plasma and blood platelets to promote cellular regeneration and improve the structure and appearance of aging skin. Not only do platelets accelerate healing, but the plasma itself contains numerous growth factors and cytokines (proteins that signal cell activity and regeneration). In short, PRP helps us create an optimal environment for skin renewal and damage repair. With PRP therapy, Dr. Buford and his Physician Assistant Kaitlyn can place extra platelets into areas of aging or damaged skin, helping to accelerate the natural healing process and boosting collagen production. Because your own platelets are used, there is little to no risk of side effects, and treatment is safe for all skin types. PRP treatments take only 20 minutes to perform with minimal discomfort and can easily be added to other skin care treatments for enhanced results. PRP therapy separates platelets from other components of blood, such as red and white blood cells. This allows Dr. Buford to collect a purified solution of plasma containing a very high concentration of platelets. First, Dr. Buford takes a small sample of blood, similar to what your doctor might take for a lab test, placing it in the specialized PRP tube. Dr. Buford recognizes that the most effective facial and skin rejuvenation plans involve a combination of treatments, used strategically to achieve a patient’s individual goals. While PRP is an effective way to accelerate healthy skin cell regeneration and improve texture, Dr. Buford finds it to be most beneficial when used to supplement other treatments, such as microneedling, Thermi RF skin tightening, and scar revision treatments. When used in tandem with these treatments, PRP can help speed onset of results and extend their duration. One of the most frequent applications of PRP that Dr. Buford uses for his patients is to combine PRP with dermal filler injections. When paired with the collagen stimulator Sculptra®, PRP can help surface-level lines and wrinkles fade more quickly while the Sculptra works to build collagen in the skin’s deeper layers. Used in tandem with hyaluronic acid fillers, such as Juvederm®, PRP can enhance natural skin-firming and plumping while the filler works to temporarily restore volume, helping results last longer. 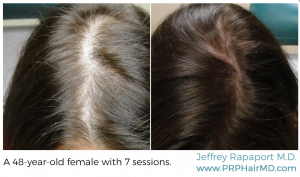 The growth factors in PRP can also stimulate hair follicle activity, and PRP therapy has been used successfully to treat hair loss in both men and women. Injections are made directly into the scalp, where the growth factors in PRP are thought to signal hair follicles to remain in the growth phase longer, resulting in thicker, fuller hair. The best way to learn how PRP might help you get better skin faster is to meet for a personal consultation with Dr. Gregory Buford. He will be glad to discuss your goals and concerns and help you design a treatment plan that will help you reach your goals for smoother, more youthful and beautiful skin.